Since there are so many things to do in Cancun, it makes it a top destination for a lot of sun-seekers. Cold drink, warm sun, beautiful beaches…I mean, what isn’t there to love? Personally, this was one of my favorite things to do in Cancun. I mean…can you blame me? You get the privilege of jumping over crystal clear waters and getting a nice dunk to cool yourself off on a warm day! 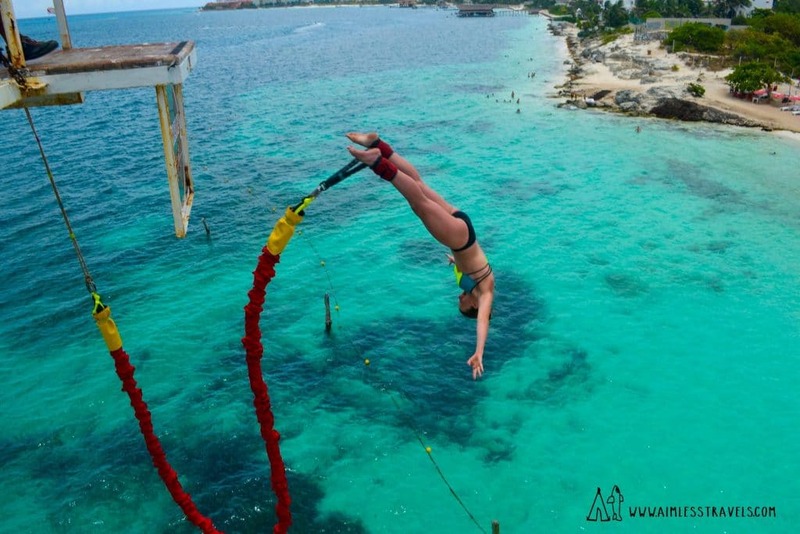 The price cost about $50 per jump in Cancun. If you choose to jump again, the price is less the second time. Ever Wanted To Swim With Giant Sharks And Live To Tell The Tale? Ever since I was young, anything and everything that has to do with marine life has fascinated me. Sharks are of no exception. 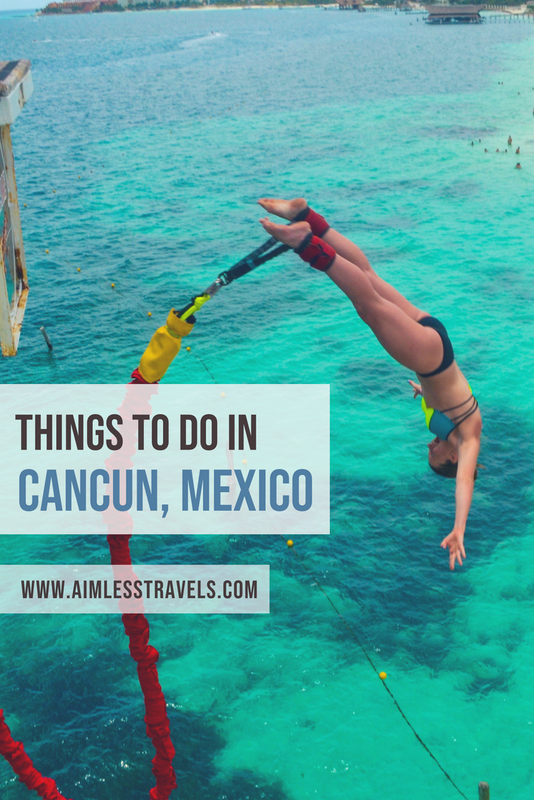 Naturally, this is also at the top of my list for favorite things to do in Cancun. Going to Mexico at the right time to catch these magnificent creatures is key. Luckily for you, it’s a pretty big window. They’ll be around the area mid-May through mid-September. There presence really peaks in the months of June and July. Unfortunately, when I went, the water was super cloudy. While it was a bit difficult to see the sharks underwater, it was still an incredible experience and a top thing to do in Cancun. There are tons of tours to choose from. However, be sure to pick a place that cares about the animals! 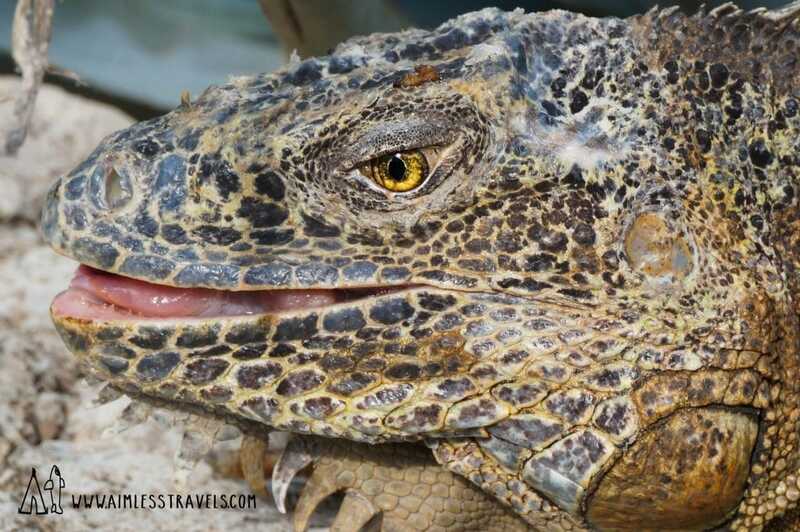 Not only do you want to be with trained professionals, but you also want to make sure you’re not going with any tour that promotes touching these animals. They have delicate skin and the oils from your hands could seriously harm them! Check out this list from viator.com to see where they recommend. Prices range anywhere from $150-$200 and it takes up about 6-8 hours of your day. Some places will require you to purchase / use eco-friendly sun screen, as well, so be prepared for that expense. When I went, we also had the opportunity to rent a wet suit for an extra cost. While wearing the wet suit, they didn’t require you to wear a life jacket. 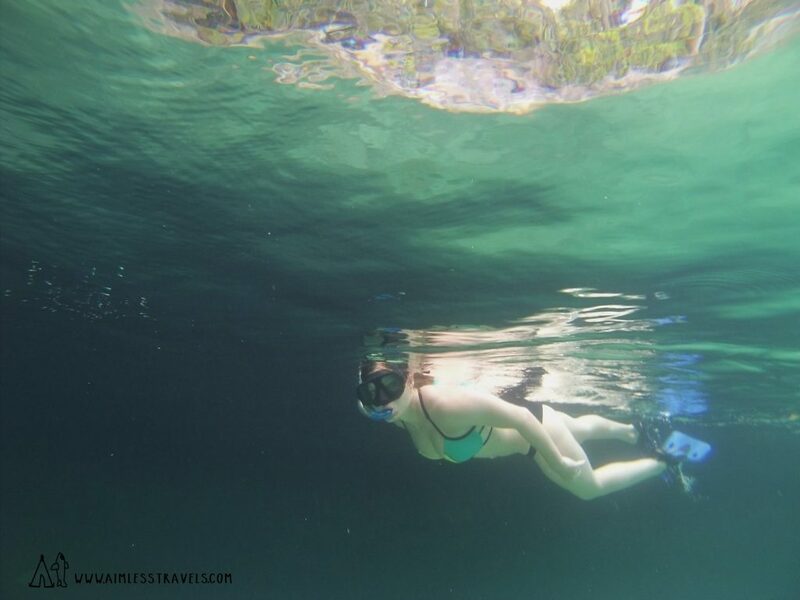 A lot of these tours include snorkeling after the whale sharks, food, and beverages. A lot of tours require you to purchase biodegradable sunscreen before you jump into the water. Buy this before you go on vacation, since it’ll be a lot cheaper. Amazon offers Reef Safe Biodegradable Sunscreen at 45 SPF at a much cheaper price! 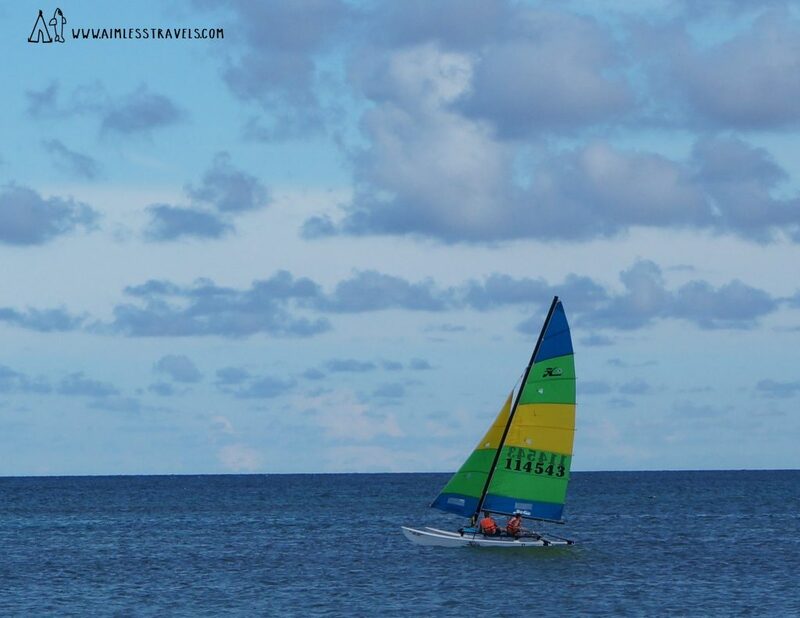 David and I had a great experience with Pezcaribe Ocean Adventure during our Playa Del Carment trip, which is why it makes it onto our list of things to do in Cancun. 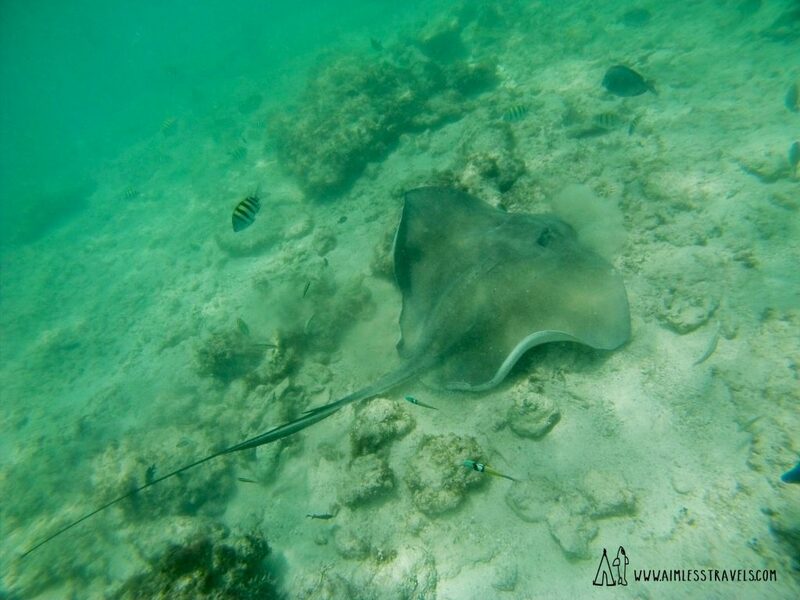 Our trip included 3 hours of fishing and 3 hours of snorkeling in a remote location that a lot of tours don’t go to. We would recommend booking in advance since they have a tendency to get really busy. During our trip, the fishing was slow. I caught a barracuda and David caught a lumberjack. The crew then prepared us fresh ceviche and guacamole. The best part about this excursion was the snorkeling. 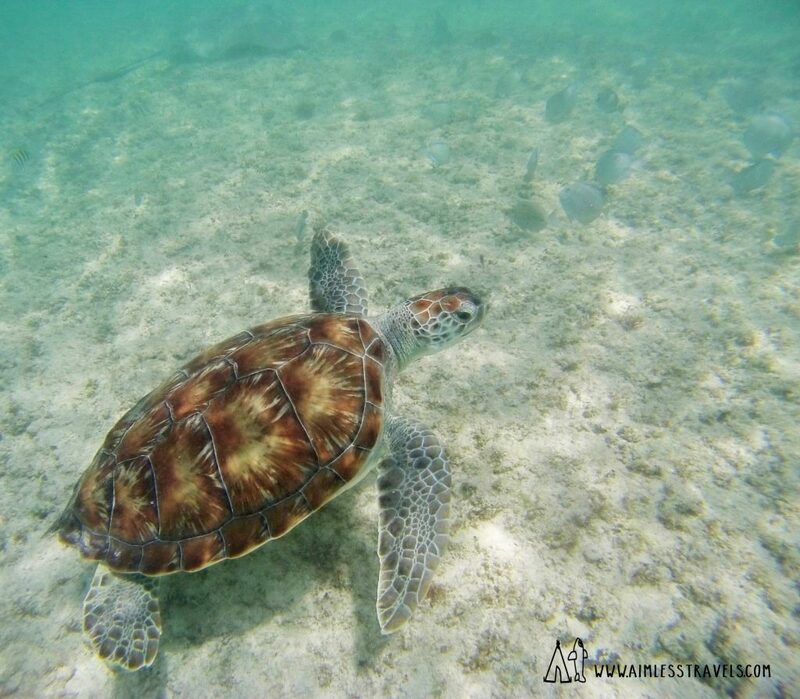 You’ll be able to see sea turtles, sting rays, and huge assortment of colorful fish. For the day, it was $400 for a private boat and 2 crew members. If you’re going with a group of people, this is a pretty affordable excursion! 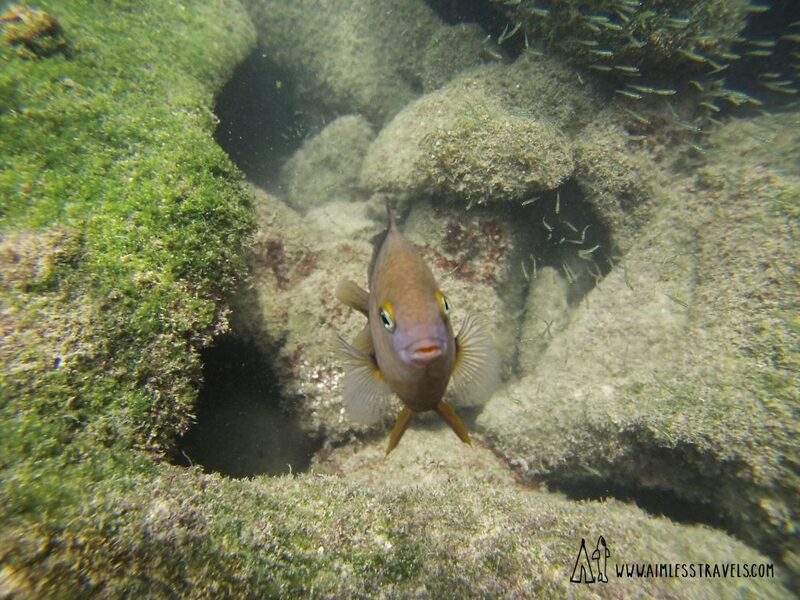 The main two Ecological parks in Cancun are Xel-Ha and Xcaret. We visited Xel-Ha during our trip to Playa Del Carmen. They bussed us over to the park from our hotel and gave us access to food and drinks (alcoholic and non-alcoholic) throughout the day. The water at these parks is usually a mixture between salt and freshwater, so the water can be blurry (so, be warned!). The parks also offer its guest a chance to swim with dolphins at an added expense. 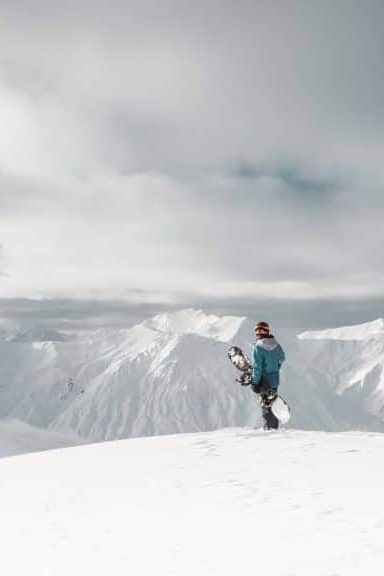 If it’s an experience you’ve never tried before, you should consider crossing that off your bucket list while you’re there! This guy was a character! He constantly kept trying to attack our GoPro. Our excursion cost us about $100 per person, which included all of the food, drinks, and transportation. Club Med Cancun is a hotel located by Punta Nizuc. It’s located on a peninsula and allows access to the ocean and river / bay area. 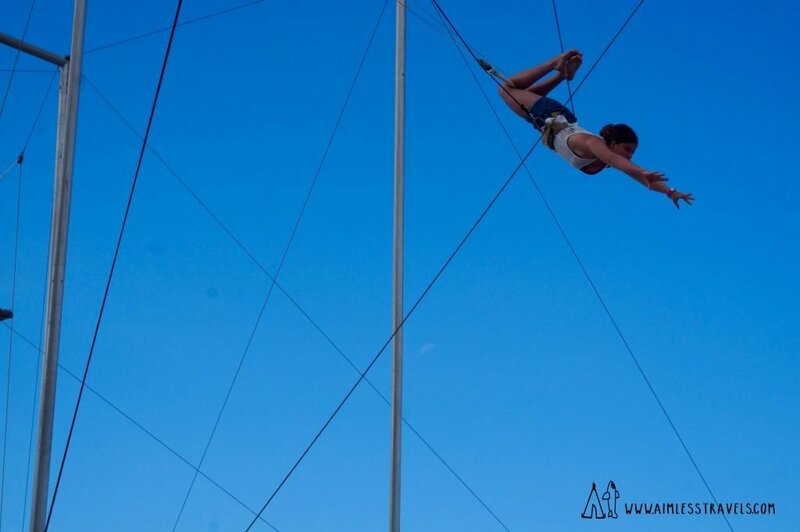 The hotel offers tons of things to do in Cancun at no additional cost, including trapeze classes, water skiing or wakeboarding (yes, even if you’ve never tried it before), sailing, kayaking, paddle boarding, snorkeling, or wind surfing. There are endless options and if you love being active on your trips, this is one of the best all-inclusives in Cancun. Who Said The Pyramids Are Only In Egypt? Tulum is one of the last cities to be built and inhabited by the Mayan people. 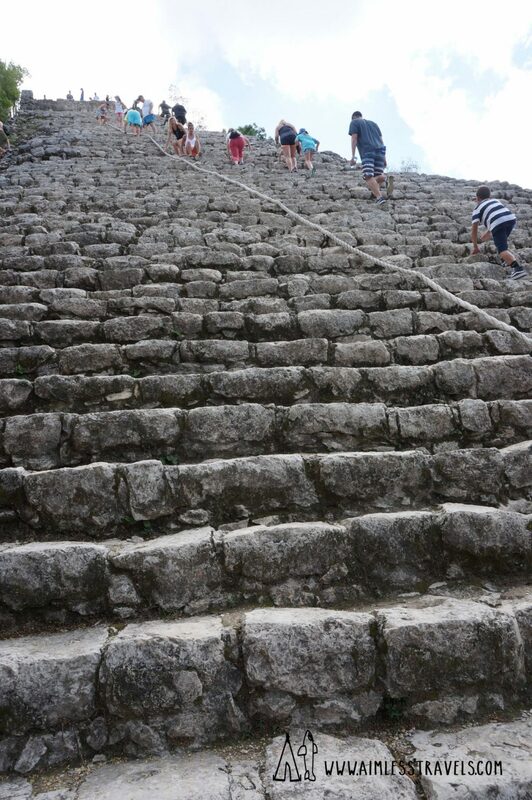 During this day long excursion, I had the opportunity to see some of the beautiful pyramids that these people built. During our day long excursion, the tour took us through the woods on bikes until we reached specific destinations. They brought us to the main pyramid that we were able to climb. The climb was a bit sketchy, but it’s worth pushing past those extra nerves! The area was extremely humid, so be prepared with proper clothing. 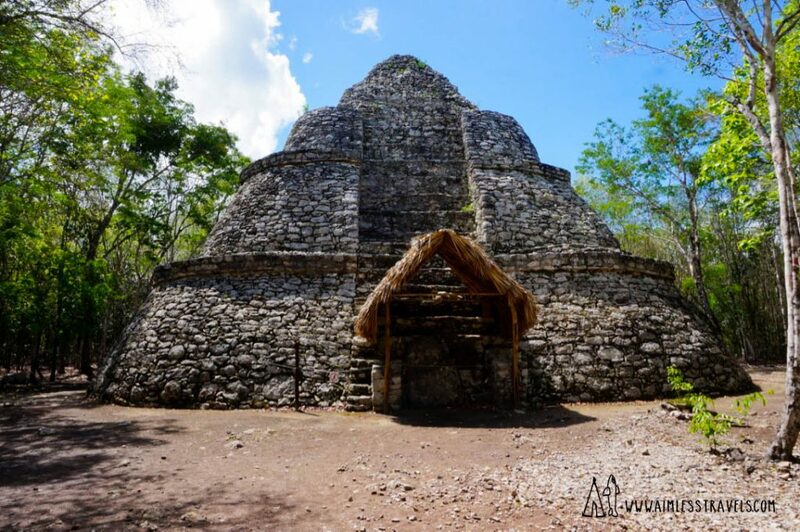 I’d also recommend finding an excursion, like we did, that takes you to all of the pyramids and historical sights and the Tulum beaches. The beaches in Tulum are absolutely breathtaking! 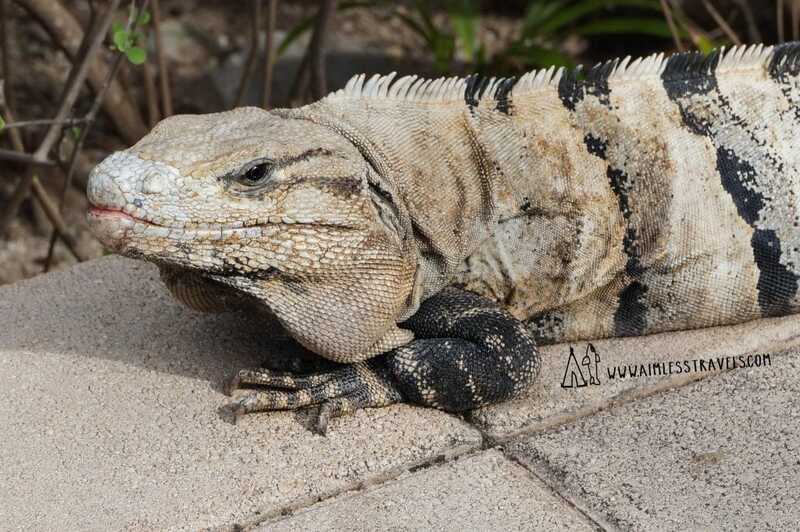 Unless you’re used to seeing iguanas in your neck of the woods, you’ll definitely love these guys running around everywhere! You’ll find them everywhere, generally sunbathing in the warm sun. And, they LOVE fruit and veggies! Even better, they’ll go crazy for bananas. But, just a fair warning: Some of them WILL chase after you, and that isn’t always the best time! Ok, probably one of the more “generic” items on the list of things to do in Cancun. 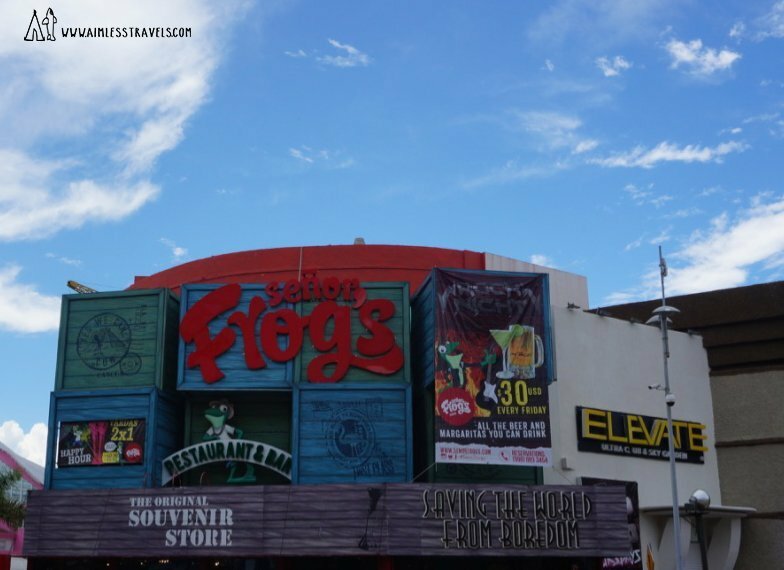 But, if you’re into some fun drinks and an energetic bar, Senor Frogs is your go-to place! I ordered a yard drink when I went, which was approximately $20. Yeah, it’s an expensive drink…But, remember: You’re doing this for the experience! 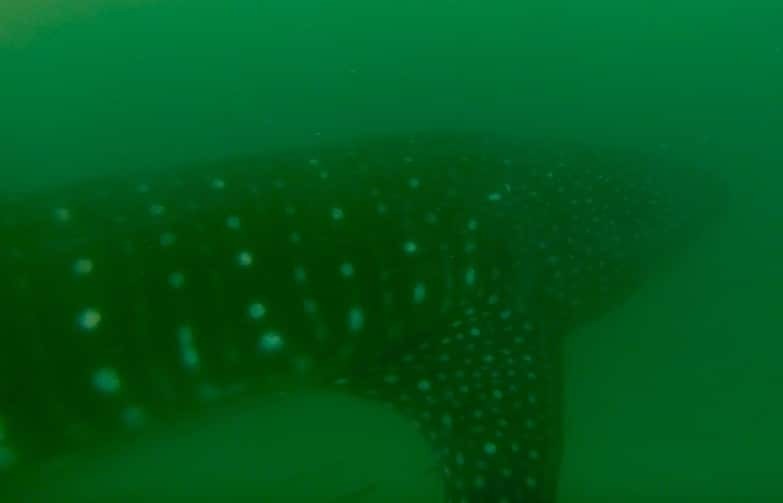 dive into the crystal clear waters and swim along with the whale sharks in Cancun. Unforgettable experience! One of the best experiences, agreed! 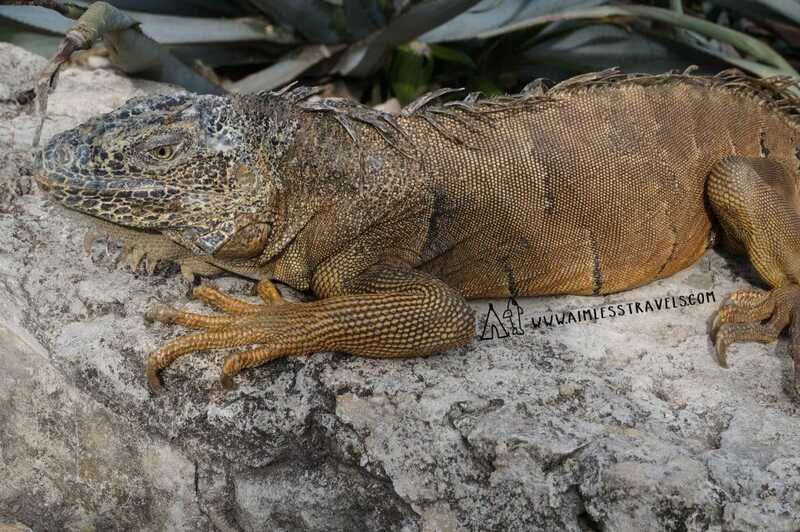 The combination of the Mayan ruins and the Caribbean Sea makes of Tulum a “must see” spot. It is truly astonishing. Absolutely agree! There’s nothing quite like it.